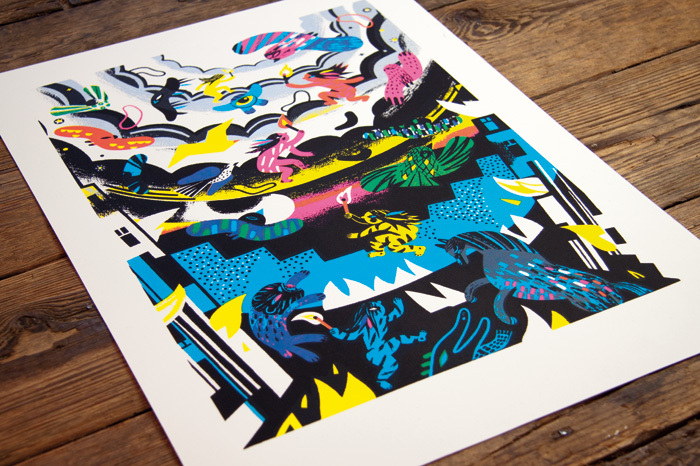 Gwenola produced this beautiful screen print for our event at the Hayward Gallery. This Is Not A Pop-Up is closing on Sunday so get down there! Signed by the artist and sealed with our quality control stamp in an edition of just 100 copies and printed in five colours including silver. This print is a highly collectable work of art by one of the leading illustrators of today, don’t miss your chance to own it. 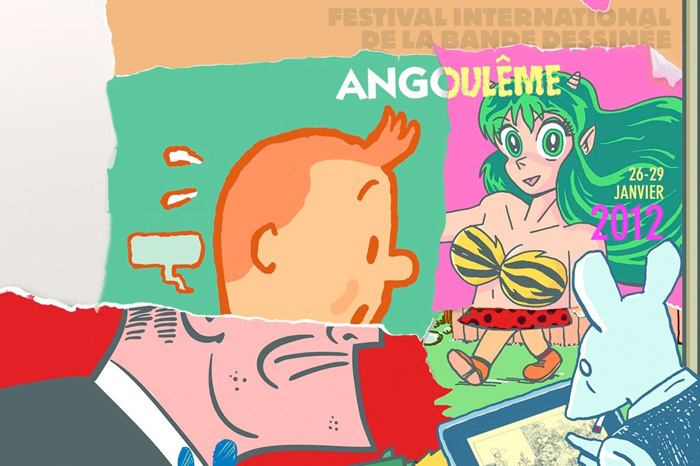 Nous serons à Angoulême du 26 au 29 janvier prochains dans l’Espace Le Nouveau Monde, stand N°52. Venez nous voir, nous aurons plein de belles choses ! Nous présenterons l’essentiel de notre sélection, livres en anglais, en français, leporello, ainsi que quelques sérigraphies et feuilles de papier cadeau. Evidemment tous nos derniers livres seront disponibles, mais en quantités limitées, alors ne manquez pas votre chance de vous en emparer… Il y aura entre autres la désormais fameuse revue Nobrow 6: The Double (en compétition pour le prix de la BD Alternative), Quodlibet, Big Mother 2 par le genie de l’illustration belge Sam Vanallemeersch, la seconde edition d’Hildafolk, Klaus, Chute et Ascension (version française de notre leporello le plus populaire), Forming, et beaucoup, beaucoup d’autres! Luke Pearson (Hilda et le Géant de la Nuit, Everything We Miss, Hildafolk) et Jon McNaught (Birchfield Close, Pebble Island) nous rejoindront vendredi après-midi et seront à notre stand samedi après-midi pour signer leurs livres. Luke signera Hilda et le Géant de la Nuit (ainsi que ses autres livres) le samedi de 14h à 15h30, et Jon prendra la relève de 16h à 17h30 pour signer Dimanche (Birchfield Close), dont la sortie en librairie est prévue pour mars 2012 et qui sera disponible en exclusivité à Angoulême. 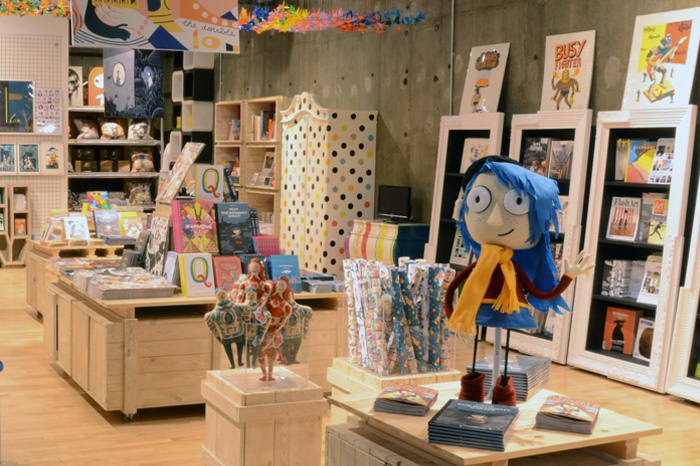 From 10 – 29 January 2012, Nobrow was asked to invade the Hayward Gallery shop, bringing with us our arsenal of tactile illustrated books, collectible art objects and limited-edition prints. In addition to featuring the entire range of our sought-after publications and limited-edition prints, NoBrow created collectible, high quality, UK manufactured leather range featuring top NoBrow designs on ipad, iphone and Oyster card holders with the collaboration of Golborne London. The three week tenureship saw the launch and signing of Big Mother #2, a large A3 format artist’s monograph publication with Belgian artist and illustrator Sam Vanallemeersch; a one week long live drawing session, from the 10 January until 14 January, with the phenomenal talents of McBess exciting new artist Ugo Gattoni; and two sold out family-friendly Monster Puppet workshops aimed at kids (ages 7 and up) on 21 January. This event was headed up by young illustrator and NoBrow artist Liam Barrett. It was all a great success and guess what, it’s not over yet, the shop and space will still be our charge for the next week, so come by the Hayward gallery and check us out! 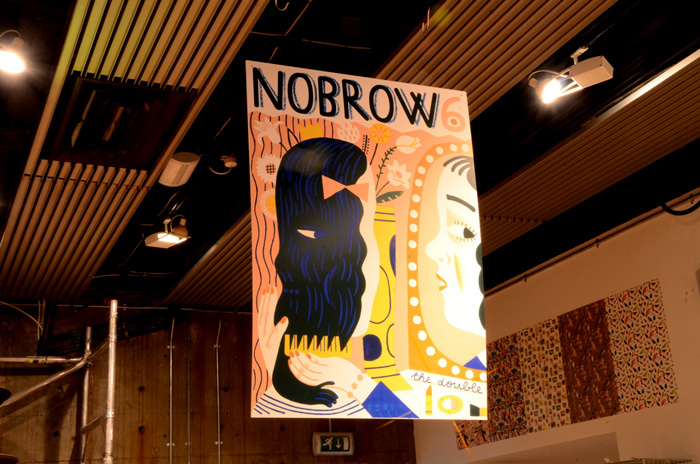 It’s the last week of our invasion of the Hayward Gallery shop and to celebrate we’re giving away the enormous Nobrow 6 posters hanging from the ceiling. 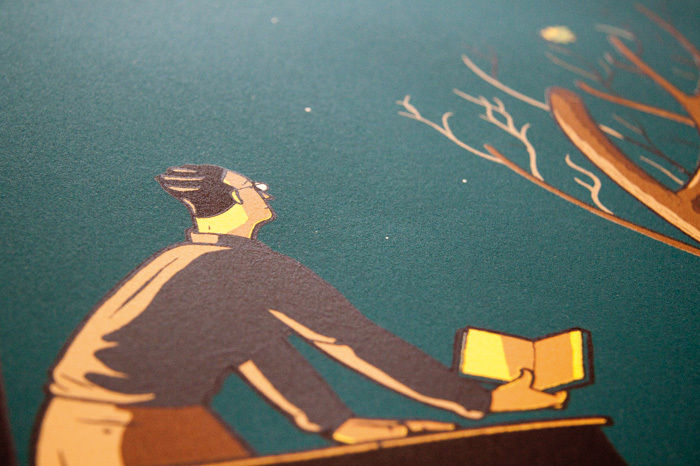 If you want to win the poster put your name in the Nobrow bag on the front till. A name will be drawn on Monday 30th Jan. We’ll be moving out on Sunday so make sure you make it down before then! Le Buffet from Bruno Bolla on Vimeo. In case you missed it here’s Ugo Gattoni and McBess working their magic last week at the Hayward gallery. The giant, intricate drawing will be on display at the Hayward shop until the 27th of January. It’s definitely worth a look. 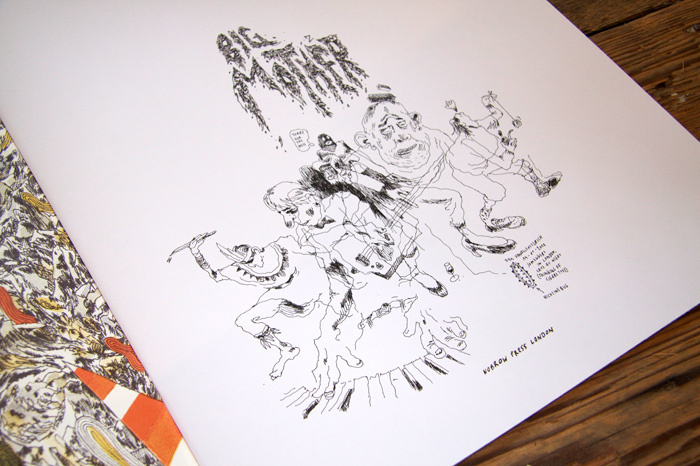 Sam Vanallemeersch was in London this Weekend and was kind enough to draw in several copies of Big Mother. Each one is unique, each one is awesome. I have 6 left in our shop and they won’t be available anywhere else! run down to 62 Great Eastern St to grab your copy!